Moving house is never easy, especially when you’ve left everything to the last minute. Don’t stress though – get organised. There are certain things you can do to ease the load. As the big day approaches, de-cluttering your home and moving things into storage is a great way to create space – both in your home and in your head. Let’s take a look at the steps you should take when using moving-house storage to ensure an efficient and effective move. Constructing a detailed plan of attack is always crucial when moving house. 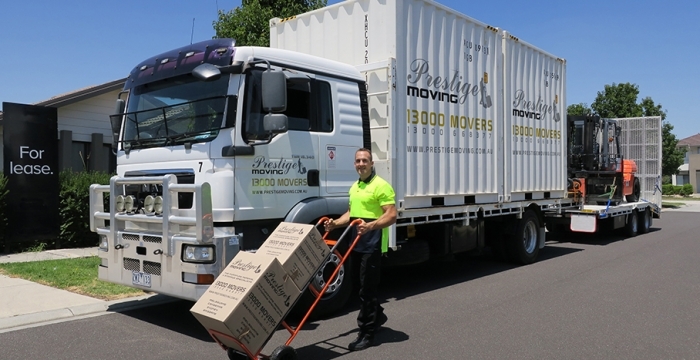 While moving some of your belongings into temporary storage in Melbourne is a great way to make your move more efficient, it needs to be approached in a logical and consistent manner. It only makes sense to move certain items into storage so make a list and separate your belongings with regard to how often they are used. It’s also important to develop a timeline and follow it rigorously so that important things don’t get packed or moved into storage too early. Once you have a plan that includes a detailed list of your belongings, it’s important to pack items in the appropriate order. For most people, it will make sense to pack items according to their frequency of use. For example, you’re probably safe to move an item into storage if you only use it once or twice a year. Generally speaking, the less you use an item, the earlier you can pack it. There are some exceptions to this rule, however, including seasonal items, temporary bedding and kitchen items, and anything else that you may require as soon as you move into your new home. It’s important to pack one room at a time in order to avoid burnout. While some rooms can be packed weeks before you move, others may need to be packed the night before moving day. By committing to a single room at a time and packing items according to their frequency of use, you can de-clutter your home in a way that is logical and consistent. Rooms with personal belongings are likely to be packed last, so leave the bathroom and bedroom to the day before you move. If you can’t pack and store an entire room, perhaps you can pack large sections of a room such as audio and visual media, bookshelves, cupboards, and other storage areas. Moving things into temporary storage before you move house is a fantastic way to de-clutter and create space. This is especially important if you’ve been in your old house for a long time, with personal belongings accumulating over time. Moving things into storage, giving items to charity, and throwing things out may also be necessary if you’re moving into a smaller home and need to create some space. The “multiple rule” can be effective at this stage. Do you really need all of your bath towels? Are your kids ever going to ride that old bike? One other rule to abide by when moving house is the “12 months or it’s gone rule”. If you haven’t used an item in over a year, do you really need to own it at all? Whether you’re moving items into temporary storage or using storage as a long-term solution, it’s crucial to stack your belongings in a way that is efficient and effective. Before you begin, it’s important to check storage requirements. Some items, such as food and dangerous goods, can’t be stored, so take them with you or throw them out. It’s also critical to pay extra attention to fragile items and stack them in an appropriate area. Whether it’s fragile china or expensive electrical items, label each box carefully and consistently. Make use of every space in your storage area, place heavier items below lighter ones, and place mattresses on their side to protect the springs from damage. Last but certainly not least, don’t forget to purchase a high quality lock for your moving-house storage unit and place a second key with a trusted person in case of loss.